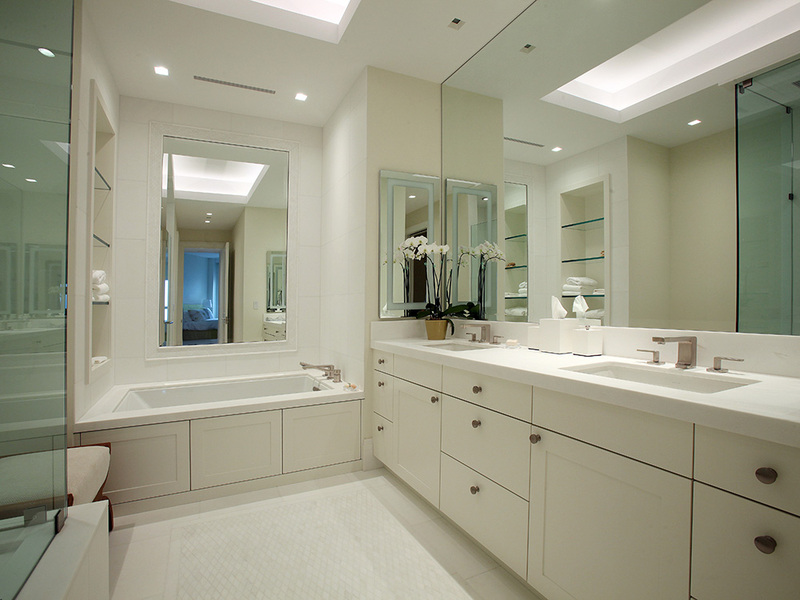 Description: This clean, white bathroom features cabinetry by Artcraft Kitchens. The door style is a 1” thick “Shaker” in “Super White” paint in a “satin” finish. The counter tops are Honed “Thassos” Marble with a mitred 2” edge.